Ben 10 always seeks for adventures and now he has one. Help him to kill robots on his way by using shurikens and a sword. Have you ever wanted to become a samurai? 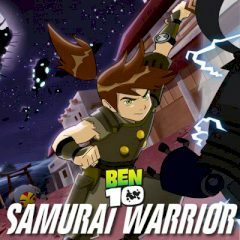 Ben 10 is going to turn himself into a powerful warrior with sharp blades and shurikens. You must control him and kill some specific enemies, collect coins and complete the level.